Throughout history, long distance communication was a matter of patience – lots of patience. Postmen have existed longer than humans can write, but the physical transport of spoken or written messages was always limited by the speed of the messenger. Humans or horses can maintain a speed of 5 or 6 kilometres an hour for long distances. If they walk 10 hours a day, the transmission of a message from Paris to Antwerp would take about a week. Already in antiquity, post systems were designed that made use of the changing of postmen. In these stations, the message was transferred to another runner or rider, or the horseman could change his horse. These organised systems greatly increased the speed of the postal services. The average speed of a galloping horse is 21 kilometres an hour, which means that the distance in time between Paris and Antwerp could be shortened to a few days. A carrier pigeon was twice as fast, but less reliable. Intercontinental communication was limited to the speed of shipping. Every tower had a telegrapher, looking through the telescope at the previous tower in the chain. If the semaphore on that tower was put into a certain position, the telegrapher copied that symbol on his own tower. Next he used the telescope to look at the succeeding tower in the chain, to control if the next telegrapher had copied the symbol correctly. 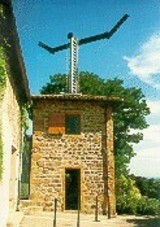 In this way, messages were signed through symbol by symbol from tower to tower. The semaphore was operated by two levers. A telegrapher could reach a speed of 1 to 3 symbols per minute. The technology today may sound a bit absurd, but in those times the optical telegraph was a genuine revolution. In a few decades, continental networks were built both in Europe and the United States. 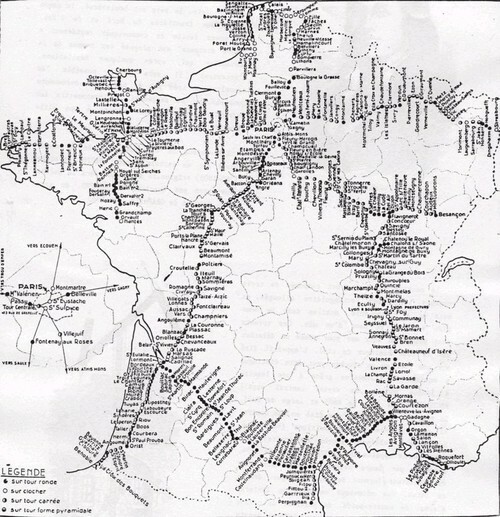 The first line was built between Paris and Lille during the French revolution, close to the frontline. It was 230 kilometres long and consisted of 15 semaphores. The very first message – a military victory over the Austrians – was transmitted in less than half an hour. The transmission of 1 symbol from Paris to Lille could happen in ten minutes, which comes down to a speed of 1,380 kilometres an hour. Faster than a modern passenger plane – this was invented only one and a half centuries later. The technology expanded very fast. In less than 50 years time the French built a national infrastructure with more than 530 towers and a total length of almost 5,000 kilometres. Paris was connected to Strasbourg, Amsterdam, Toulon, Perpignan, Lyon, Turin, Milan and Venice. At the beginning of the 19th century, it was possible to wirelessly transmit a short message from Amsterdam to Venice in one hour’s time. A few years before, a messenger on a horse would have needed at least a month’s time to do the same. The system was copied on a large scale in other countries. Sweden developed a country-wide network, followed by parts of England and North America. 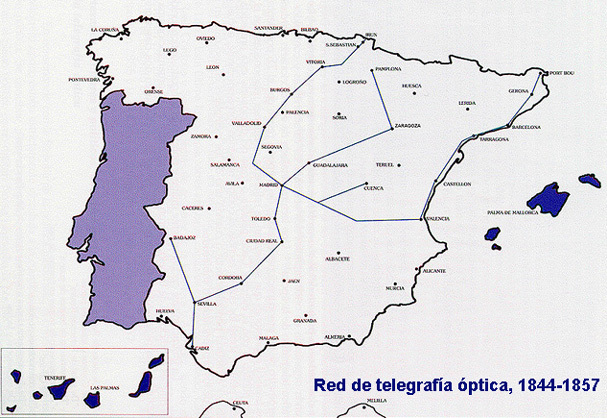 A bit later also Spain, Germany and Russia constructed a large optical telegraph infrastructure. Most of these countries devised their own variations on the optical telegraph, using shutters instead of arms for example. Sweden developed a system that was twice as fast, Spain built a telegraph that was windproof. Later the optical telegraph was also put into action in shipping and rail traffic. A real European network never really existed. 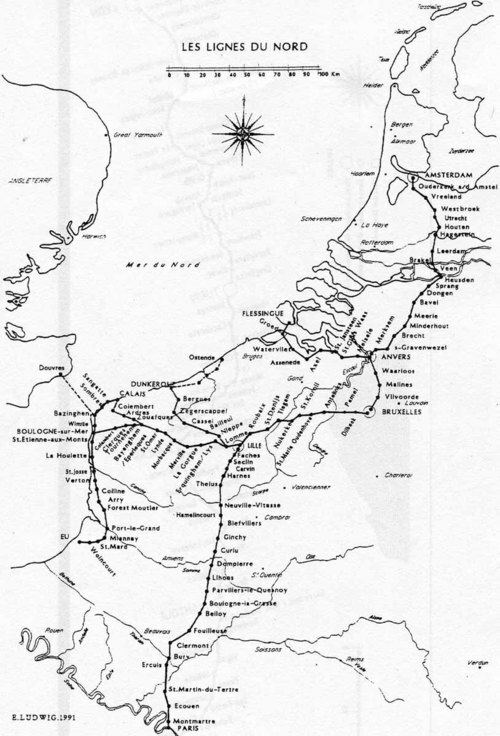 The connection between Amsterdam and Venice existed for only a short period. When Napoleon was chased out of the Netherlands, his telegraph network was dismantled. The Spanish, on the other hand, started too late. Their nationwide network was only finished when the technology started to fall into disuse in other countries. The optical telegraph network was solely used for military and national communications, individuals did not have access to it – although it was used for transmitting winning lottery numbers and stock market data. Satellite navigation in the 18th century : who needs GPS?